Professor Tony King, who will be reviewing the 2018 excavation of the temple site and looking ahead to the excavations this Summer. Dr Nick Thorpe, who will be reviewing last year’s excavations of the oval and round barrows. Dr Nick Stoodley, who will be reviewing our latest geophysical surveys in phase II of the Iron Age to Roman Landscape project. 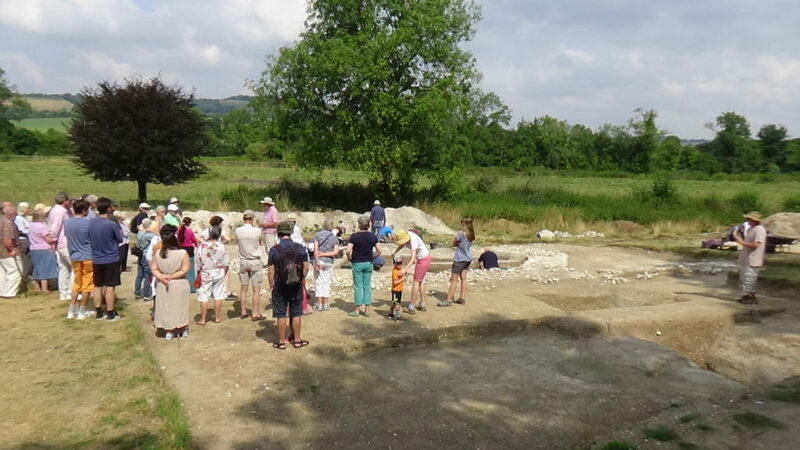 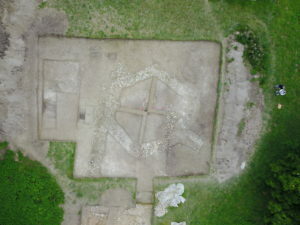 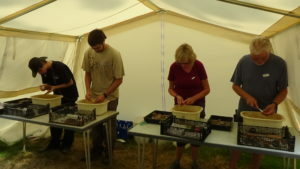 More than 150 attended the excavation site Open Day on Saturday 21st July. 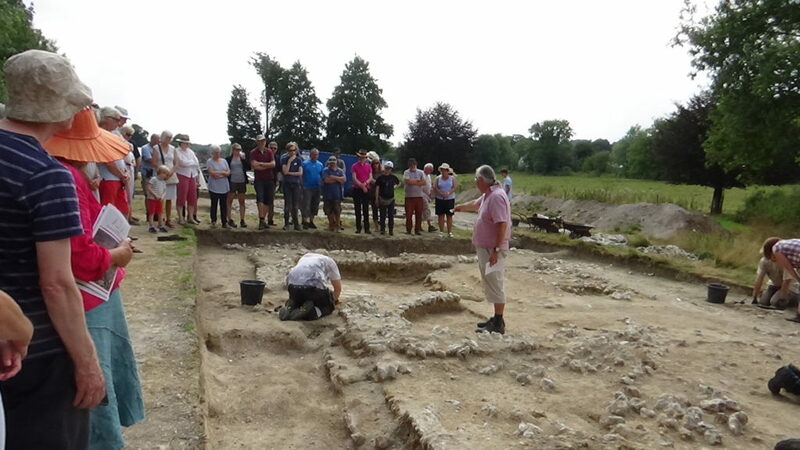 Thanks to all who came to hear one of Professor Tony King’s insightful talks and tour of the site. 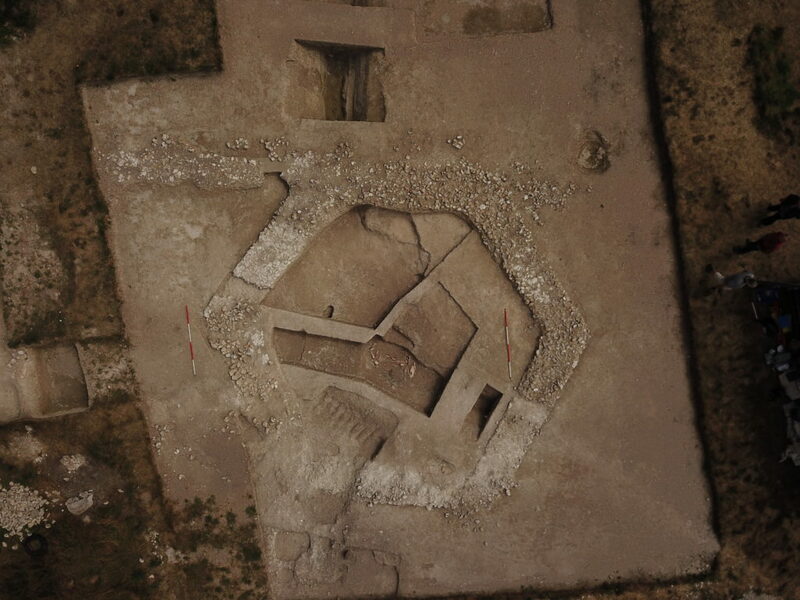 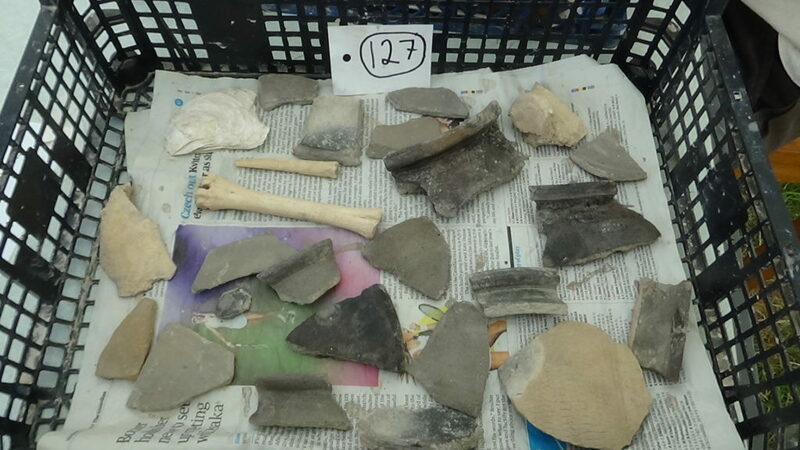 There was also an opportunity to view our recent finds and see the site in action. 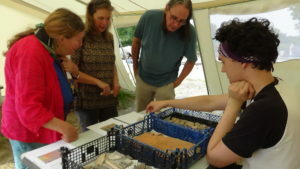 Many thanks to all who donated – every penny helps towards our work to discover more about how our ancestors lived in the Meon Valley.